Canada's public service has a proud history and has been recognized as world leader in terms of impartiality and offering great advice to ministers. Whichever party forms the next government, it is imperative that they take accountability seriously and create an environment of trust with the public service. Canada needs a creative, healthy and trusted public service and a government that holds themselves accountable. 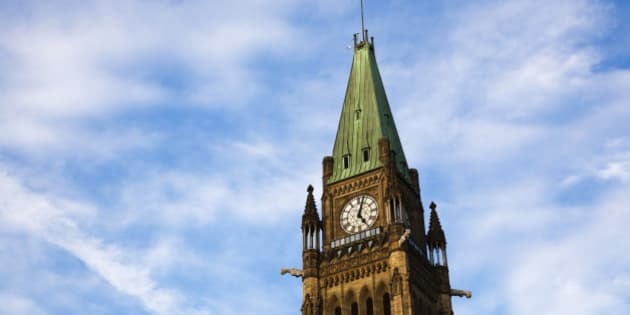 As I listen to the election coverage and that of the Duffy trial, I am struck again by the lack of accountability in both the Senate and Prime Minister's Office. Few seemed to have any sense that repaying Senator Duffy's expenses might not be ethical or even legal for that matter. Nor did some of them seem to care as long as there would be no embarrassment to the prime minister. What message does this behavior send to everyone else in government? As a former senior public servant and engaged Canadian citizen, I find this lack of accountability very troubling. At the same time the government is expecting the highest level of accountability of public servants while often ignoring their advice or as in the case of scientists seemingly preventing them from disclosing to the public scientific evidence and facts about matters such as the environment and the state of fish stocks. Politicians have been accused of proposing measures to reduce public service benefits as a way of trying to gain voters sympathy. Yet accountability has not applied to all members of our organizations of governance. Public servants are often criticized or maligned by members of the public. Recently a young woman said to me that public servants have an easy life, do not work hard and get great pay and benefits. Wow, maybe I should have looked for a public service that offers me such a life. Not the public service that I worked in for 25 years. I have heard similar comments throughout my years in the public service and from politicians who wanted to feed on a misconception about the role of public servants. Governments sometimes trade on issues such as sick leave or mistakes to get voters sympathies. Public servants cannot defend themselves because they are not to be the face of government. Rather than complain about the number of sick days taken by members of the public service or engaging in a blame game, government members should be asking: "What is needed to create a healthy and creative public service within key accountability frameworks?" For example, the government exhorts public servants to be creative and complains about a lack of creativity. At the same time they are putting in more rules and creating a culture that does not tolerate mistakes. From my experience, working in that kind of environment does not lend itself to creativity of the desired kind. It creates an environment of fear, unwillingness to take risks, hiding mistakes and therefore an inability to find the best solutions to very complex challenges. Most of the public servants that I worked with were hard working, committed to public service and cared deeply about the challenges they faced in helping Canadians. Many worked long hours and public service executives certainly willingly worked as many hours as most executives in the private sector without the same level of compensation. Yes, like any organization the public service has some employees who do not work as hard nor are as effective as they could be in the workplace. I suggest, from my experience these employees are a very small minority of the public service. While leading their departments, senior executives in the public service must have the courage to risk mistakes and find ways to serve the public better. Many of the senior leaders will speak "truth to power" even though it does not always make them popular. While ministers make the final decisions on tough policy choices, the public service over the years has offered sage advice. Ministers do not have time to do the required research but public servants can, when there is a relationship of trust, provide the necessary advice to help a minister feel more assured about his/her final choices made along with their cabinet colleagues. I worked with many great ministers from different parties who valued my advice and I felt respected and happy to work even harder to give them the best support possible in making their often very difficult public policy choices. As public servants we felt trusted and a part of helping to resolve complex public policy challenges. Public servants believe in accountability and service to the public and their ministers. That is not the issue. Rather it is when rules are so abundant that they cross the line between accountability and immobilization of the ability to act effectively in the public interest. When public servants are not asked for advice, are blamed for mistakes, feel a lack of trust and are subject to excess rules, their health and well-being are affected. Add to that a negative public perception and we can see the reasons for high levels of stress. When you are committed to making a difference and serving the public, yet do not feel heard nor trusted it's demoralizing. Watching a lack of accountability in the senate and in the PM's office equally cannot be good for morale. Canada's public service has a proud history and has been recognized as world leader in terms of impartiality and offering great advice to ministers. Whichever party forms the next government, it is imperative that they take accountability seriously and create an environment of trust with the public service. Canada needs a creative, healthy and trusted public service and a government that holds themselves accountable.